Welcome to The Fun Lab Spin zone bumper cars. 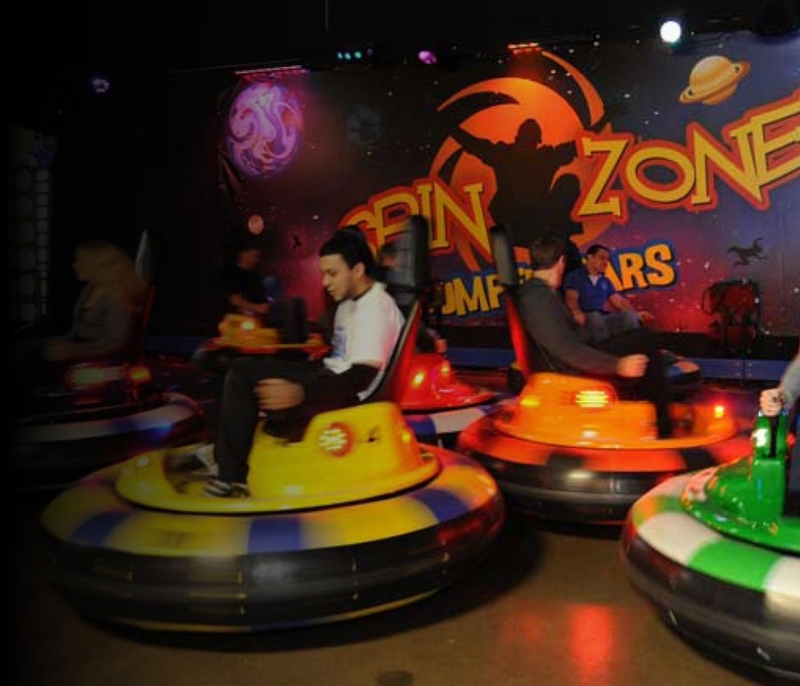 Spin Zone bumper cars spin, bump, and go crazy in this action packed attraction with jamming music and a laser light show! Exciting and thrilling from start to finish. Enjoy this ride with family, friends, and co-workers. Kids must be 36″ to ride solo but kids as young as three can also experience this fun filled ride while sitting in the special buddy seats with either a parent of guardian. What are you waiting for-Take a SPIN today.